William “Bill” Warren, 85, of Wake Forest passed away February 2, 2019 at home, surrounded by his family. Born August 19, 1933 In Asheville, NC, where he lived until his high school graduation from Ben Lippen School in 1952. 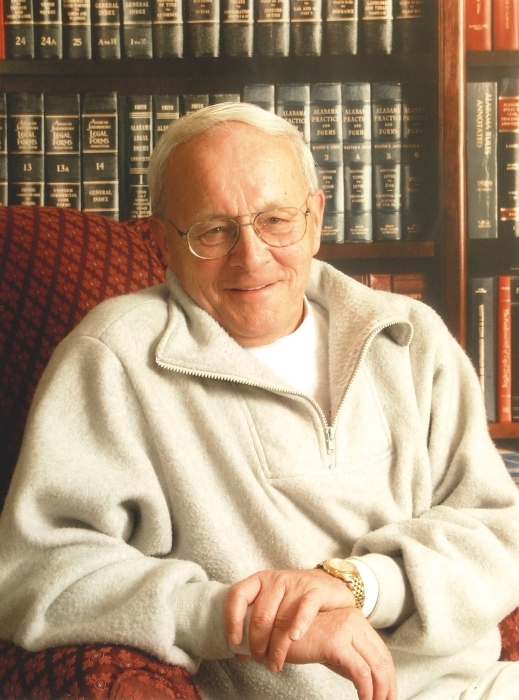 He served 2 years in the US Army stationed in Pirmasens, Germany and following his honorable discharge in 1958, he dedicated much of his time to mentoring and encouraging youth through his involvement as a coach. Bill met and married the love of his life in 1965. They moved to Henderson, NC in 1968 to continue his 35 year career in the corporate office of Roses Stores, Inc.
Preceded in death by his wife, Claudette Smith Warren in 1969, he became a single parent, devoting himself to raising their only daughter from the age of three. He was her biggest supporter, giving selflessly every day of his life. Following his retirement Bill, continued to nurture the lives of kids by volunteering in his daughter’s daycare daily for 10 years. He loved them and their families as his own. He loved God and his church. He lived his life with an unwavering faith in God and shared that faith with others. He is survived by his daughter, Lynn Warren Hebert and husband David Hebert, grandchildren Carly, Jennifer and Jacob Hebert and so many others who affectionately knew him as Papa. The family will receive friends Tuesday, February 5th from 6-8 pm at Bright Funeral Home in Wake Forest. A graveside service will be held Wednesday, February 6th at 2:00 pm at Elmwood Cemetery in Henderson.